You want to know how to create that neat little package that the Japanese are famous for. 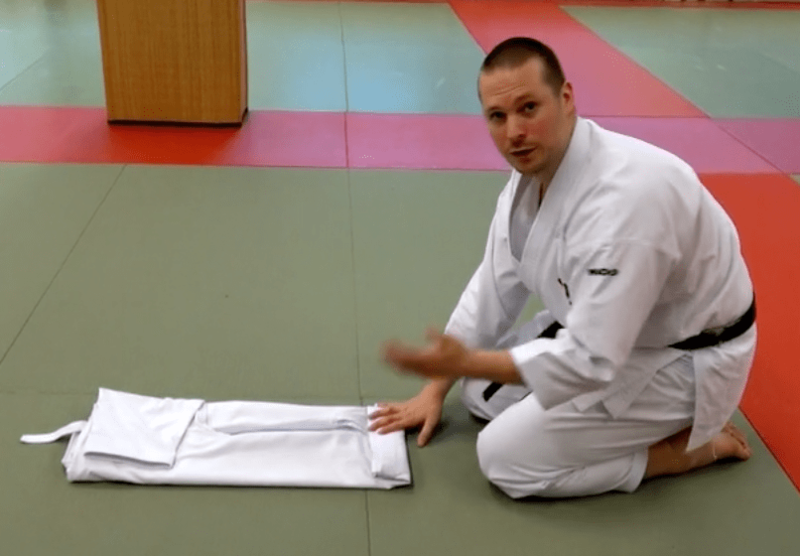 There are a lot of ways of how to fold your Karate Gi - also called dogi. Of course in Japan, there are different styles. I learned only one though from Nukina Sensei which I share in the video below. You can't make it smaller than that: It's fits easily in your bag or suitcase when you travel. It puts your mind at easy (seriously): Fold it slowly and properly to feel what that means. It takes a lot of time though and you need a clean surface - it's not always practical (That's why I teach you my way as well).